A couple days ago we told you Pebble’s Smartwatch would make its landing in Canada at Future Shop and Best Buy, and that day has finally arrived. 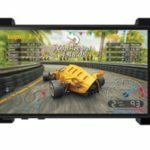 For those interested in the watch, pre-orders are now available from the electronics chain but here’s a way to save 15% off your smart watch and get it for $134.99, the cheapest price I’ve ever seen for a Pebble post launch (includes free shipping). Only black is available for pre-order. How to get the deal? 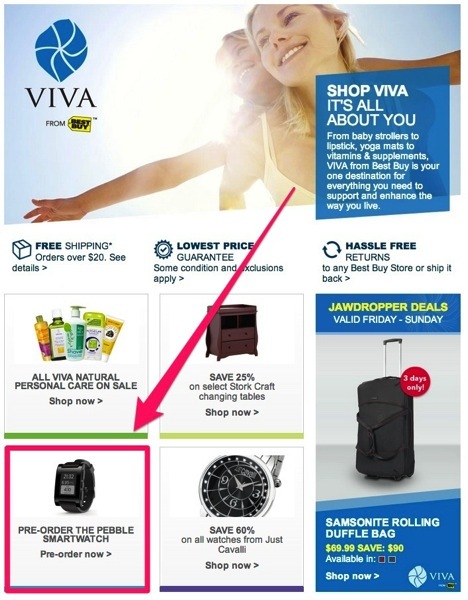 Easy, just sign up with Best Buy’s VIVA program email list to receive a $15 credit towards your next VIVA-applicable purchase, which in this case includes the Pebble (the Fitbit Force is also listed). The Pebble smart watch is a fantastic iOS accessory for what it can do. You can read our full Pebble review here. Let us know if you’re going to jump on this.